A Breeze Above Our Heads at Beckenham Methodist Church. Two members of SPC have become entertainers in their spare time and put on a varied and often very funny show with ‘poetry, music, hats, fun and strawberries.’ The theme was summery with sketches about trips to the seaside, fairs and even bog-snorkelling. Joan Hepworth sang beautifully, accompanied on the piano by Mary Sawyer and by Jane on the viola. What larks! One sketch morphed into another and the poetry carried it along. Frequent costume changes left both cast and characters quite breathless. An enjoyable evening for all with an interval to taste some strawberries and home-cooked goodies with the welcome addition of cool fruit punch. This entry was posted in Poetry Events, Shortlands Poetry Circle and tagged Christine Pope, Jane Sharp on July 20, 2015 by shortlandpoetrycircle. Another Stanza Bonanza for the North West Kent Stanza Group. Isabel Bermudez and Ruth Smith will be reading at The Poetry Café on July 22nd. at 7pm. together with a Stanza Group from Harrow. Coming up at The South Bank: Poetry International Thursday 23rd. July – Sunday 26th. July. See the programme on www.southbankcentre.co.uk. Judge for Poetry category: Peter Oswald. Prizes for Poetry category: First Prize £500, Second Prize £200, Third Prize £100. In addition there is the Hilly Cansdale poetry prize of £100 for entrants living in the BA, BS, and TA post codes. Prizes: First prize: £250, Second prize: £100. Third: £75. Judge: Katherine Stansfield, who will read all entries. 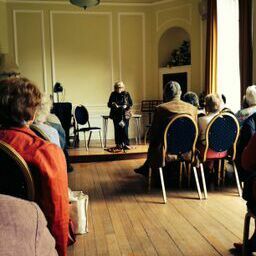 The PENfro Poetry Competition is run annually by the PENfro Book Festival. Max 40 lines. Subject: open. Enter on-line or download an entry form and enter by post. Judge: Clare Best (will read all poems). Any subject, no more than 40 lines, Prizes: 3 prizes of £500, £250 and £150. With categories in Poetry, Prose and Visual Arts we are inviting submissions from writers and artists from across the arts. The Judging Panel includes Rosie Sherwood, Zelda Chappel and Lauren Fried. Prizes for each category: First prize in each category: £200, Second and third prizes in each category: £50 each. All winners will be published in a special competition anthology edition of Elbow Room. All winners will be featured in a London based exhibition and live event. Winners will be notified by Wednesday the 30th of September via email and will be publicised on the website soon after. The event will be held towards the end of October and will be publicised after the winners are announced. Entry Fee: £10 for up to three poems. Sole Judge: Alison Brackenbury (will read all entries). Poems up to length: 70 lines. Prizes: £600, £300, £50 x 5 commended. The Gloucestershire Prize- £200 (residents only). Entry Fee: £4; £10/3 (postal entries); £4.35; £8.70/2; £11/3 (Paypal). Contact: Online entry at http://buzzwordspoetry.blogspot.co.uk/p/blog-page_3.html or send SAE to Buzzwords Open Poetry Competition, Butlers, Western Road, Cheltenham, Gloucestershire, GL50 3RN for details. Judge: John Greening. Poem Length: In English, typed and up to 50 lines. Prizes: 1st prize: £700 plus a weekend’s accommodation and Festival Pass for the Torbay Festival of Poetry 22nd – 26th October 2015, 2nd Prize £400 plus a Festival Pass to the Torbay Festival of Poetry, 3rd Prize: £200 plus a ticket for two to the Festival Supper, Saturday 24th October 2015. Poetry books/ subscription to Acumen Literary Journal for short-listed poets. Winners announced at the prize-winners’ event: Saturday 24th Oct. at the Torbay Festival of Poetry (Prize-winners informed in advance). Prizes: £1000 for winners in each category; £200 for second place in both categories. Categories: English as a Second Language (ESL) Category & Open Category. Judges: Bernard O’Donoghue and Hannah Lowe. Entry Fee: £5 to submit a poem or £4 per poem for more than three entries. You may enter up to ten poems, providing they are unpublished. Contact: Enter via website: http://www.brookes.ac.uk/poetry-centre/international-poetry-competition/. Please read our full terms and conditions on the website to ensure that your entry meets the competition’s criteria. The writer and the urban landscape have been inseparable partners across time, culture and genres. We invite poems and short stories with a strong sense of city as setting, real or imagined. Prizes: £100/ £50/ £25, with a trophy for best Canterbury-themed writing. Publication in an anthology for winning entries. Judges: Poetry: Gillian Laker. Short stories: Maria C. McCarthy. Awards evening 31st October 2015 as part of Canterbury Festival Umbrella events. Entry Fee: £3 per poem, or £8 for 3; £4 per short story. Prizes: First prize: £1000, Second prize: £250. The Judges: Cynthia Fuller and Jacob Polley. The Flambard Prize is awarded annually to the best group of five poems submitted by a poet who has not yet published a single-authored pamphlet or collection. Each poem should be no longer than 40 lines. Entry Fee: £5 per group of five poems. Entries can be made via the Newcastle University WebStore or by posting hard copies to: Newcastle Centre for the Literary Arts, Percy Building, Newcastle University, Newcastle Upon Tyne, NE1 7RU. Payment should be made online or by enclosing a cheque made payable to ‘University of Newcastle-upon-Tyne’ with your entries. If you have any further questions, please email NCLA at ncenla@ncl.ac.uk. This entry was posted in Poetry, Poetry Events and tagged poetry events, shortlands poetry circle on July 20, 2015 by shortlandpoetrycircle. This event was organized by Harris Academy Beckenham who wanted to encourage participation from the community. As the whole event was to be a celebration of the written and spoken word we were contacted and agreed to fill two half hour slots with readings of a miscellany of poems ancient and modern, comic and serious. For the first slot we decided on a theme of Words, and for the second we read poems that were connected in some way with Action. Maggie Hoyle was applied to for ideas and members of the team made a contribution. 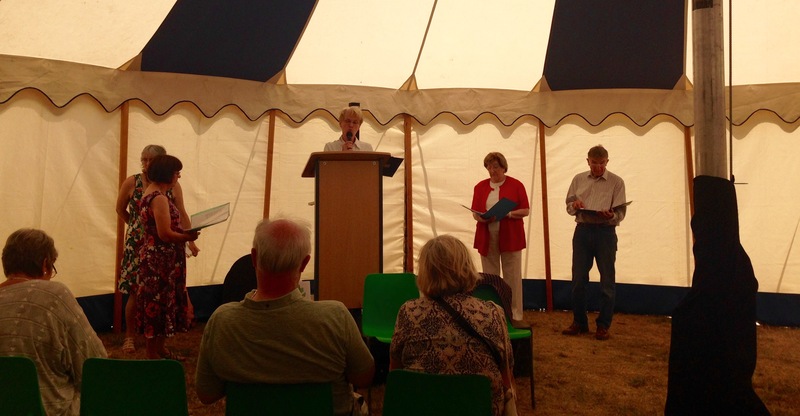 So, folders in hand, we entered the Creative Canopy and read, mainly to friends and relatives it must be said, competing at one stage with a singer and band in full spate just a tent wall away. The interval between readings was spent tranquilly in Sheila and Brian Corrins’ garden but there was time to see a few of the many events that were going on and admire the quotation quilt, the Poe Tree and the Edible Book competition with its inventive entries. Fun, even though the logistics were not always in our favour and thanks to everyone for two great readings. Two members of the audience requested copies of UA Fanthorpe’s ‘Dear Mr Lee’ so seeds were sown. 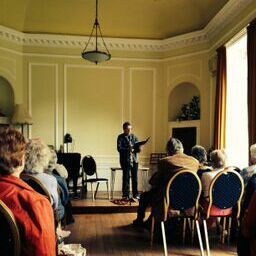 The readers were Sheila Corrin, jane Knight, Keith Massey, Mavis Robinson, Ruth Smith and Anne Stewart. 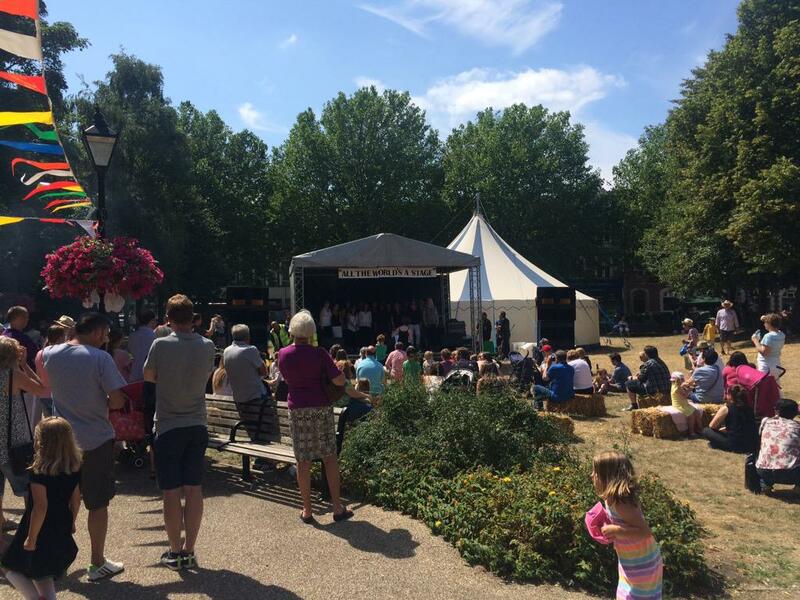 This entry was posted in Beckenham, Poetry Events and tagged anne stewart, Harris Academy Beckenham, Jane Knight, Keith Massey, Maggie Hoyle, Mavis Robinson, ruth smith, Shelia Corrin, WORDfest Beckenham on July 20, 2015 by shortlandpoetrycircle. 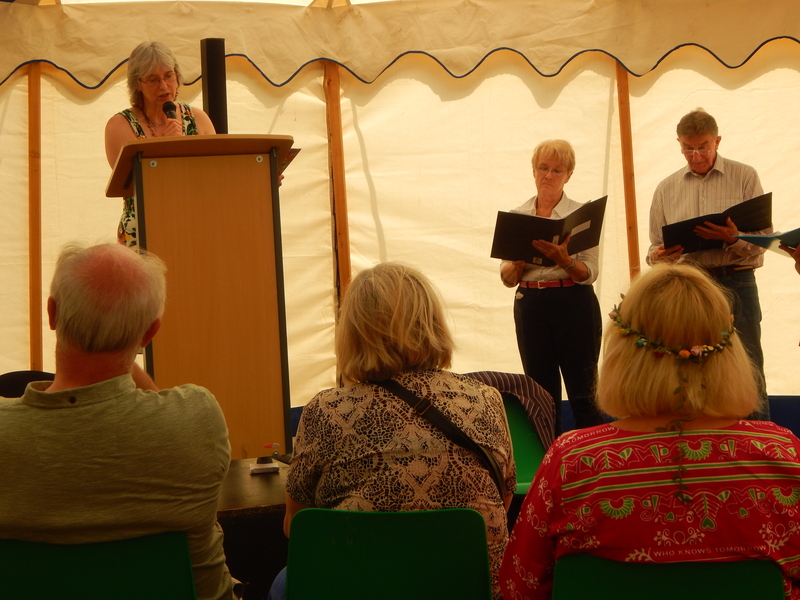 Someone was heard to say, ‘This is the best so far!’ then added, ‘But I said that last year!’ There’s no doubt that the Summer Celebration is eagerly anticipated, and the guests invited to read from their work comment on the pleasant venue and the attentive hearing they receive. They undoubtedly enjoy the buffet tea as well, provided by members of the SPC. This year we invited Kate Foley and Katherine Gallagher to read to us, two very experienced poets each with several full collections of poetry and some chapbooks published. Both are generous with their time, giving readings and conducting workshops to help others. Kate divides her time between Suffolk and Amsterdam and has had a varied career beginning as a midwife, followed by the conservation of delicate archaeological material. She became Head of English Heritage’s scientific and technical research. During all this time she has been writing poetry and now has more time to pursue this art often choosing to work with artists from other disciplines. Katherine comes from Bendigo, Australia and has lived in London since 1979. She is very active in the world of poetry and highly acclaimed for the subtlety and grace of her work. It has been described as ‘delicate straight talking.’ ‘Carnival Edge’ her New and Selected Poems came out in 2010 published by Arc Publications. 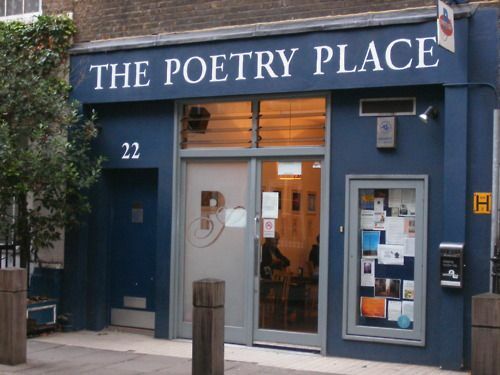 This entry was posted in Poetry, Poetry Events, Ripley Arts Centre, Shortlands Poetry Circle and tagged Kate Foley, Katherine Gallagher on July 14, 2015 by shortlandpoetrycircle.